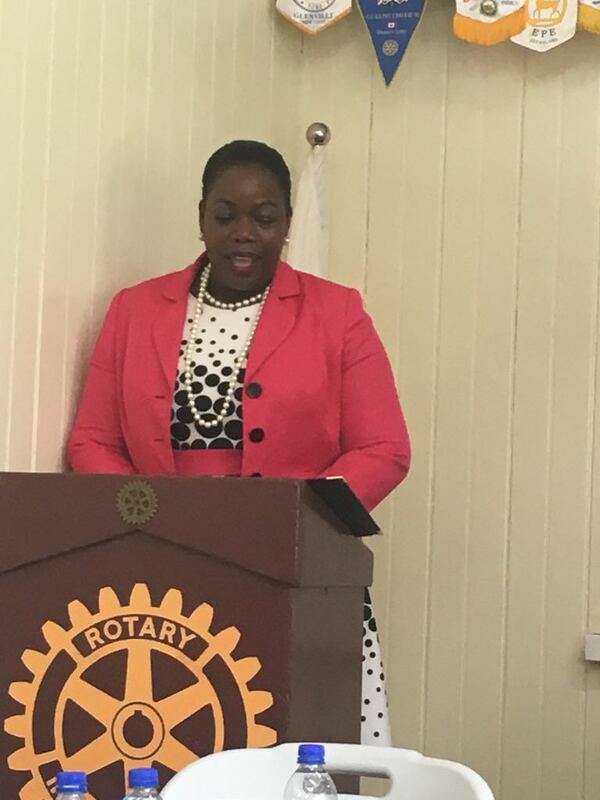 Mrs. Charmaine Quinland-Donovan, Manager of Certificate Investment Program (CIP). The Citizenship by Investment Programme (CIP) was birthed by the necessity to find viable alternatives to bolster the economy of Antigua and Barbuda having been affected by plummeting fiscal revenues. This was brought on by the economic decline resulting from the global financial crisis where Antiguans and Barbudans had to deal with the fall-out from the likes of CLICO and BAICO. Accordingly, the Citizenship by Investment Act came into force in April 2013 and the Citizenship by Investment Unit (CIU) was set up a few months later in August 2013 to administer this Act. The Unit is staffed by a team of 16 highly competent and professional individuals hailing mainly from the private sector. Individuals who are desirous of making an investment under the Programme may apply under 3 options. These are; the NDF, Real Estate and Business Investment options. The NDF option provides the successful applicant with the opportunity to obtain citizenship by making a one-time contribution to the fund of US$200,000 for an application of up to a family of 4 and US$250,000 for more than 4 family members. The Real Estate Investment option requires a minimum investment of USD$400,000 in an approved project and the Business Investment option allows for a single applicant to invest USD$1.5M and two or more investors to invest USD$5M, provided that each makes a minimum contribution of USD$400,000. Applications can only be submitted to the Unit through a Licensed Agent. A Licensed Agent by law can only be one who is a citizen of Antigua and Barbuda; and was lawfully resident in Antigua and Barbuda for a period of not less than (7) years immediately before his application. He or she is required to maintain a place of business in Antigua and Barbuda. The Licensed Agent however, should not be confused with an Authorized Representative who is a marketing agent of the Programme and can be located in or be a national of any eligible country. These eligible countries refer to any country not indicated in the restricted countries list; Afghanistan, Iran, Iraq, North Korea, Somalia, Yemen and Sudan. The Unit’s vetting process goes above and beyond the normal global best practices. Our extensive due diligence process is multi-tiered and involves searches in the global sanctions and embargo lists, alerts and watch lists issued by financial regulators, law enforcement and other governmental agencies from around the world. These lists contain the profiles of high risk and “potentially” high risk individuals and entities, Politically Exposed Persons (PEPs) and their relatives and close associates, high-profile criminals and blacklisted entities. Also included are individuals and entities appearing on lists such as the World Bank Ineligible Firms List, Office of the Comptroller of the Currency and the Office of Foreign Assets Control (OFAC). We utilize private due diligence firms with boots on the ground in the territories where applicants originate or are affiliated with. The vetting process involves feedback from regional and international law enforcement and intelligence agencies. As a direct result of the funds acquired from these investments, more than EC $1 Billion across all investment options has been yielded. The earnings of the Programme have been utilized to service the International Monetary Fund (IMF) loan; meet monthly Social Security and pension shortfalls; support the Solid Waste cleanup programme; contribute to the project to provide affordable homes for Antiguans and Barbudans; support the Barbuda Council in meeting its expenses; aiding the Ministry of Social Transformation, particularly persons who would have lost their homes & personal effects to fire; the Ministry of Health (the Cancer Center) and the Ministry of Culture (Carnival). assistance of our stakeholders, Local Licensed Agents and Representatives and Service Providers both local and abroad to contribute to the Barbuda Relief Fund. To date, the Unit has amassed USD $31,000 in addition to tangible items such as clothing and 300 ShelterKits from the Rotary International Disaster Relief Charity named ‘ShelterBox’. These ShelterKits contain a selection of materials including toolkits, ropes, fixings and heavy-duty tarpaulins that can be used to make emergency shelters, repair damaged buildings and create the foundations for new homes. These kits are customized to suit the location and the needs of each community. We are assured that these donations will go a long way to assisting in the rebuilding and normalization process on our sister island. The Citizenship by Investment Unit will continue to build on these critical private sector partnerships for the ongoing socioeconomic advancement of our twin island nation. We are convinced that our diligent and meticulous management of the Programme now serves and will continue to serve our communities with transformative results. We will continue to leverage the important foreign direct investment resources available under the Programme with the crucial and foundational domestic investment initiatives being spearheaded and sustained by the local business community.